Oooooooooo, do you believe in ghosts? ONCE UPON ANOTHER TIME there was a King called John. He was a bad king and was easily upset by his barons ….. who were just as easily upset by him (if you get the drift). William de Braose, the 4th Lord of Bramber, was no exception. In 1208, John seized William’s lands and Will de B escaped to France. Unfortunately Will’s wife, Maud (or Matilda) and eldest son, William (imaginative with their names in those days), were captured by King John ‘the Bad’ and he locked them up in Corfe Castle (or possibly Windsor Castle) and starved them to death. Easily done. Here the tale slightly deviates as another source says that two of Will de B’s children were captured and starved. 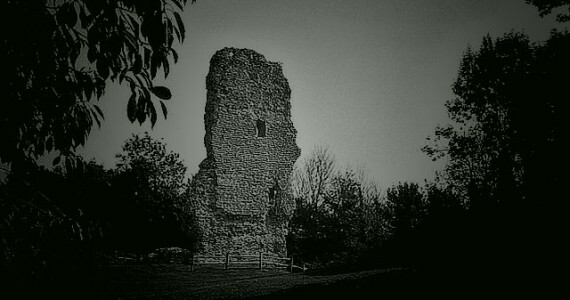 It is these two children that are (sometimes) seen wandering the grounds of Bramber Castle at night in search of their father. Admittedly, when I say ‘sometimes’, they are usually seen after the pub has shut. 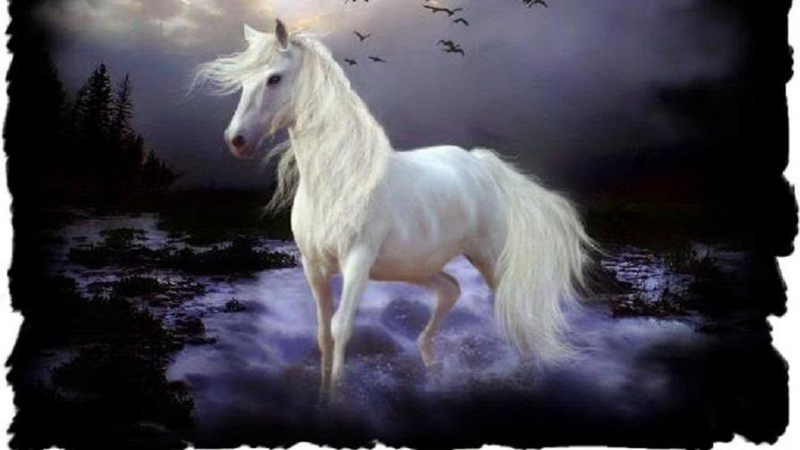 Then there is the white horse A riderless white horse has been heard and seen on moonlit nights galloping around the moat. Its origin is unknown. Could it be the horse of the sporting young William de Lindfield? 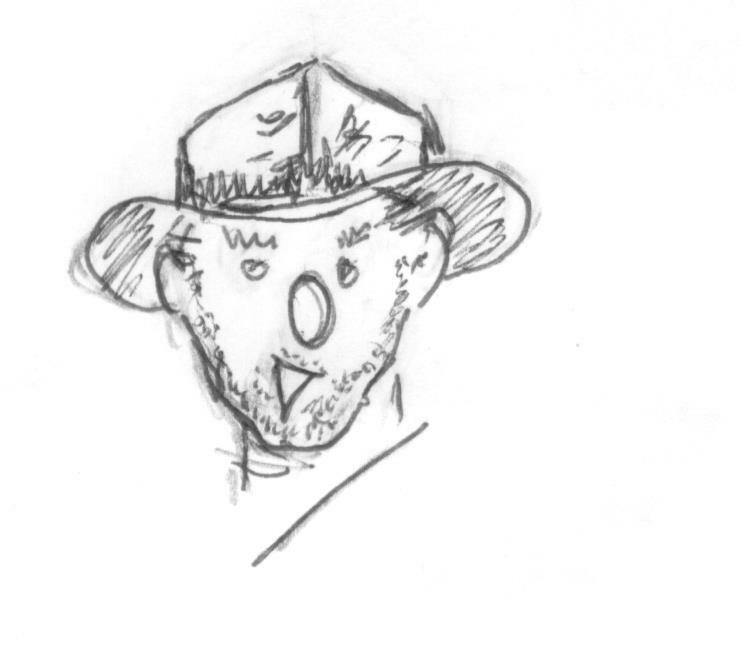 (Yes, another William). In the 15th century, the ill-tempered Lord Hubert de Hurst occupied the castle (supposedly). 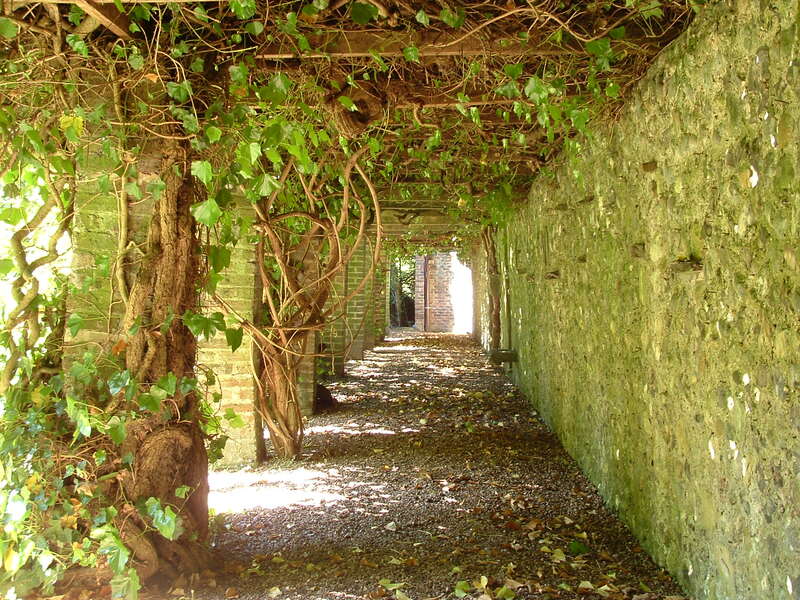 He was in his 50s and married to Maud of Ditchling (oh, another imaginative name), a rustic beauty, half his age. The naughty 25-year-old Lindfield was having an affair with Maud (no surprise there), which Hurst discovered (oops, careless). On a fresh September day, Lindfield rode into the castle and dismounted the horse and was never to be seen again. Hurst had set a trap for him in the pleasure house, in a garden at the rear of the castle, where the young gentleman was awaiting the company of Lady Maud. It resulted in Lindfield being imprisoned in a vault beneath the house. Hurst proceeded to brick up the vault’s entrance and the entombed Lindfield fell to a dark and solitary doom. Maud died of grief shortly after discovering the fate of her lover and the dastardly Hurst was reduced to a raving maniac (happy days). Many years later the pleasure house and gardens were supposedly destroyed by the Parliamentarians and a skeleton was found crouched in the corner of the old vault (Lindfield’s?). Perhaps it is Lindfield’s white horse which, today, roams the moat awaiting the return of its master. 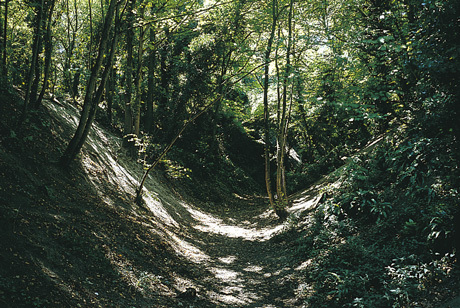 The moat ……. domain of the riderless horse? St Mary’s Down the road to the Castle you may find another ghostly apparition if you are in the right place at the right time (and consumed sufficient champagne). This will be at the old Tudor House of St Mary’s. In fact it has two estranged figures wandering the premises. First there is the ‘mysterious monk’ who has been seen lurking in the Monk’s Walk (obvious place for a monk I suppose) in the back garden of the House. The source of this vision is a Canadian soldier (or two) and the occasion was a revel (involving a certain amount of alcohol so we’ll leave it at that). 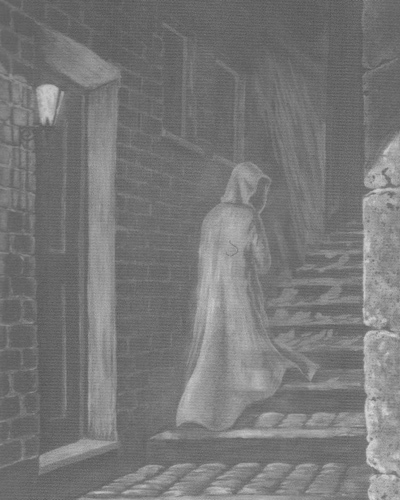 The second is the ‘lady in grey’ seen on the hall stairs of the House by one of the more elderly occupants, Mimi McConnel, during the early part of the 1900s. The source does not mention Mimi’s drinking habit. 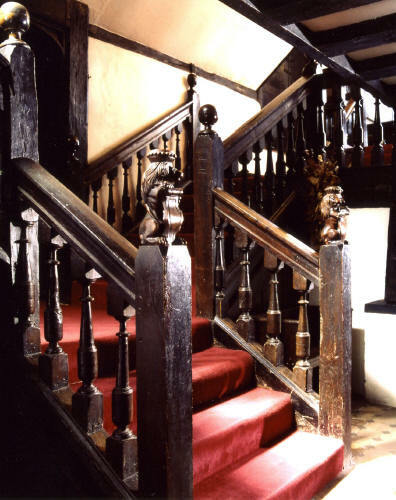 Next week: More on St Mary’s Tudor House.